Before this past weekend, the last time I was in the area and stopped off at Boulangerie Pierre & Patisserie (Garden Grove) was in February 2010. It was another day of exploring too many Little Saigon eats starting with Ngu Binh Restaurant - Westminster, then Thanh Tam Bakery - Garden Grove (Little Saigon), before grabbing desserts and fresh sugarcane juice for the drive home. 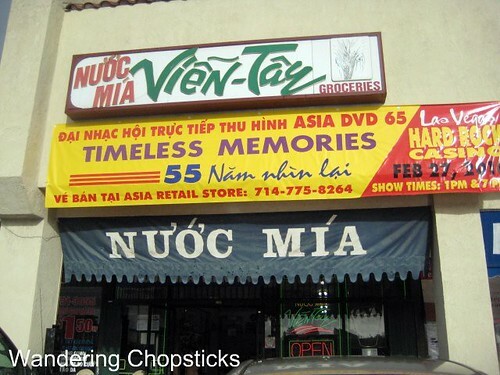 Nuoc Mia Vien Tay in Garden Grove really started the whole fresh squeezed sugarcane movement in Little Saigon long ago. What? 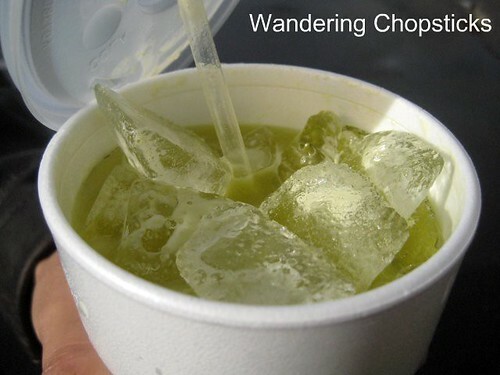 You didn't know there could be such a thing as a fresh squeezed sugarcane movement? There was and it started here in the late 1990s. The owners were a former colleague's friend's parents, although I was more familiar with the husband since he worked with, and was more active in, the Vietnamese American community. Their son passed away a few years ago. He was my age and had just gotten married six months before. During my previous visit, I bumbled my way through trying to express my condolences to his mother. Unfortunately, I think the loss of their son was too much. On a recent visit, I noticed a remodeled interior and what looks like an attempt to turn it into a juice and frozen yogurt bar. The family pictures of the husband, who was a fighter pilot during the Vietnam War were gone. And while you can still get fresh squeezed sugarcane juice here, it's not quite the same. 1 year ago today, Portland from Glendora rose. 2 years ago today, Lumpiang Prito (Filipino Fried Spring/Egg Rolls). 3 years ago today, Inka Trails Restaurant - Claremont. 4 years ago today, my oldest uncle's wife's banh canh chay (Vietnamese vegetarian udon).